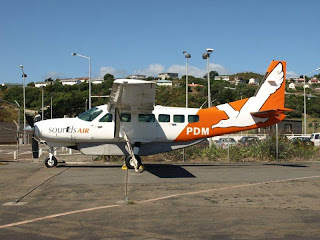 Captured at Wellington on 20 February 2010 were the Soundsair Caravan fleet; Cessna 208 Caravans PDM and TZR and Cessna 208B Grand Caravan SAA. These maintain the scheduled services, currently seven flights a day to Picton, two to Blenheim and between two and five a day to Nelson. 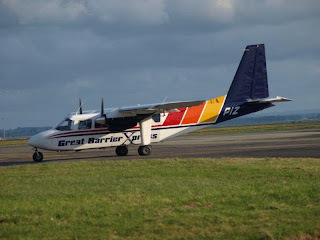 Bruce Gavin sent an email regarding Island Air Charter/Adventure Aviation Ltd who operate a shuttle service between Tauranga and Motiti Island. On 21 January 2010 their Cessna 172, ZK-WGE, overran the airstrip at Motiti Island. None of the four people on board were injured. I believe the scheduled twice-weekly calls into Ashburton only operated for the peak ski season. 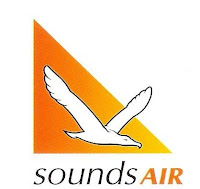 From 1 June 1985 Newmans Air introduced feeder services from Te Anau and Wanaka to Queenstown to link up with Newmans Air flights to and from northern centres. Flights from Te Anau were operated by Waterwings Airways (Te Anau) Ltd (operating as Milford Sounds Scenic Flights) which had been operating over the route in its own right since February 1984. Flights from Wanaka to Queenstown were operated by Aspiring Air Ltd. Aspiring Air had been operating a daily (on demand) Wanaka/Cromwell/Christchurch service in its own right since early 1984 but this was ended once the link with Newmas Air started. Cessna 172 ZK-WFS that Remote Adventures has been using over the summer has returned to Nelson Aero Leasing Ltd effective 1 February 2010. The comapny's website still shows three flights a week between Takaka and Paraparaumu. In late 1984 the face of a new player on the tourist airline business appeared in the form of Newmans Air which was formed to offer competition to Mount Cook Airlines. Like Mount Cook Airline’s Newman’s Air had its origins in a rich heritage of bus and tourist services in New Zealand. With its plans to buy into Mount Cook Airlines thwarted Newmans Air was established with its services more or less replicating Mount Cook Airline’s routes. The company ordered two De Havilland Canada Dash-7 aircraft and the first of these, ZK-NEW, arrived just before Christmas in 1984. Over the next six weeks it was kept busy doing crew training and familiarisation flights. The company’s first scheduled flights began on 13 February 1985, using two De Havilland Canada Dash-7 aircraft, ZK-NEW and ZK-NEX, though The initial timetable saw two daily northbound services to Rotorua from Christchurch, one extending further north to Auckland, and three southbound services from Christchurch to Queenstown. At the time of the launch of services the airline’s chief executive, Mr Ken McDonald, foresaw a third Dash 7 and including Nelson on their network. He told the Christchurch Press he estimated Newmans Air would have captured 50 per cent of the available market by June 1986 and that they were aiming to get 70 per cent of the market in the long term. Newman Air’s original plans to use the ungraded Glentanner (Mount Cook) airfield were delayed due to issues with the Civil Aviation Division and the permit granted to use the airfield by the Land Settlement Board. These were eventually overcome and from 19 March 1985 Newmans Air flights to and from Queenstown began to call at Glentanner (Mount Cook). Very early on the company looked at Ashburton as another possible destination to be used to fly skiers from nearby Mount Hutt to Queenstown. Dash 7 ZK-NEX landed there on a charter flight on 17 April 1985. Scheduled flights on two days a week began on 17 July 1985 with an early departure from Christchurch to Ashburton and then onwards to Queenstown, departing Ashburton at 7.30 a.m. At the launch of the Ashburton service Mr Ken McDonald said that regular flights would soon be going to Wanaka and Te Anau if their air strips were upgraded to take the Dash 7. By August 1985 the company was reporting load factors of 50%, somewhat less than they had originally hoped for. By the end of the year the company was reappraising the suitability of the Dash 7. While being a STOL aircraft they were eminently suitable for Glentanner, they were slow, especially on the long Rotorua-Christchurch sector. Having four engines increased the maintenance costs. Sometime after they were replaced an Ansett NZ engineer told me they had to have a 108% loading on the Christchurch-Rotorua sector to make a profit! By early 1986 Newmans was looking for another partner and by April 1986 the speculation was the favoured option would be with Ansett Airlines of Australia and that Dash 8’s would replace the Dash 7’s. In July 1986 the Government gave Ansett permission to purchase half of Newmans Air with Brierley Investments buying a further 30 per cent. By this stage the company had lost over $ 5 million since beginning in February 1985. Their position was not helped by Air New Zealand taking over Mount Cook Airlines in 1985. 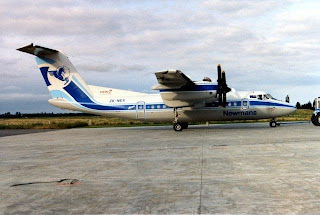 In 8 Oct 1986 an application was made to Air Services Licensing Authority by Bilmans Management Ltd (trading as "Newmans-Ansett"), to conduct a Category "A" air transport service between Auckland, Rotorua, Wellington, Christchurch, Glentanner and Queenstown with two De Havilland DHC-8 Dash 8 Series 100 aircraft. 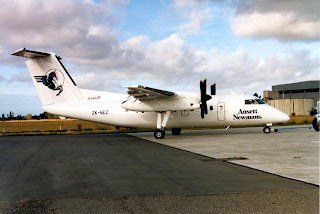 The first Dash 8 arrived in Christchurch on 15 December 1986 sporting Ansett Newmans titles. Ansett Newmans soon introduced direct Auckland Christchurch services with the Dash 8. The Newmans name was soon to disappear however and by early 1987 the airline rebranding to Ansett New Zealand had began. What appeared - Dash 8 ZK-NEY in Ansett Newmans titles at Christchurch on 26 January 1987... the "Newmans" was soon to disappear and the airline became Ansett New Zealand. to weather, mainly fog. Nationally, 97.5 per cent of regional flights went ahead. Patronage grew strongly after Air NZ increased its Westport –Wellington flights from seven to 12 a week in February 2007, Mr Street said. Since mid-2008, patronage had declined mainly due to the economic recession. Since last Christmas, demand had also been down on the same time last year. Forward bookings were roughly in line with last year. At this stage, no changes were planned to the Westport-Wellington flight schedule. 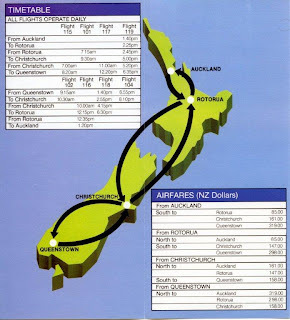 However, Air NZ continually reviewed all routes. Flight viability relied on local patronage, Mr Street said. 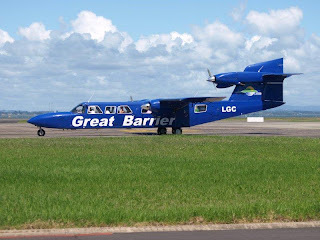 Registered for Great Barrier Airlines this week was Britten-Norman BN.2A Mk.III-2 Trislander ZK-LGF. However, myseriously the registration was revoked the next day. Can anyone enlighten us why? Their previous Trislander, ZK-LGC, first appeared with the registration ZK-CJS though it was never registered as such. Again a mystery! Meanwhile work seems to be continuing on the Britten Norman Islander which was carrying the registration ZK-KTR at the beginning of last year. Taxi-ing out at Auckland on 10 October 2008 was Fly-My-Sky's ZK-PIZ on its way to Whangarei on a courier run. 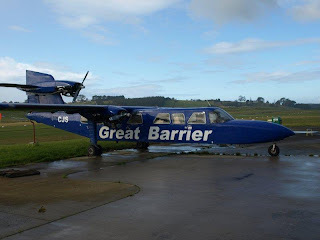 This service, Great Barrier Airlines courier service to Taupo and Sunair's courier service from Palmerston to Gisborne all ended about the same time... I think they were NZ Post courier flights. Can anyone enlighten me about this and have a date for the end of the service??? Standby Fares Coming to the Provinces? Eagle Air is trialling cheap standby tickets from Whakatane to Wellington. The Whakatane Beacon reports that passengers can arrive an hour before the flight and seats available can fly for $59. A return standby ticket must be bought at the same time. Empty seats certainly don't pay... it's great to see at least a trial for the provinces to get more cheap seats. 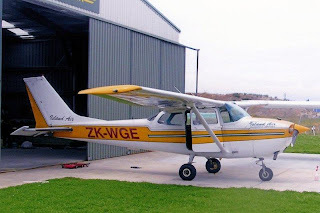 In January 1981 Goldfield’s Air were considering purchasing Westland Flying Service’s Cessna 402 ZK-DHW and it flew into Alexandra for them to evaluate it. Flyernzl’s comment that Piper Pa32R-300 Cherokee Lance ZK-EIB was also registered to Goldfields Air from 15 October 81 to 11 February 82 is interesting. It would seem from the above that the company bought or leased the aircraft and then did not get the licence. The service that commenced in 1985 with Bonanza ZK-EDJ was reported as normally flown by chief shareholder Murray Cresswell. Photographed at Taieri on 6 February 2010 was Beech V35 Bonanza ZK-EDJ. This aircraft was used by Goldfields Air to inaugurate its non-¬scheduled services between Alexandra and Christchurch in May 1985. The company initially offered a six day a week service but from 1 August 1985 the company flew daily, landing at Wanaka as required. 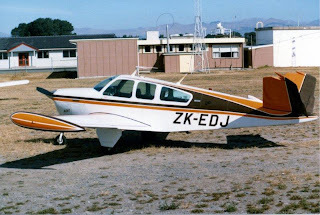 Beech Bonanza ZK-EDJ at Christchurch on 21 January 1985 before the scheduled service commenced. Did it ever carry Goldfields Air titles? The company had always intended to operate an IFR scheduled service and so imported a Piper Pa31-310 Navajo, VH-TRP previously used by the Victorian state premier from Australia that become ZK-JGA. The Navajo, reregistered ZK-JGA, was introduced to the Alexandra service in October 1985. On 2 April 1986 the company moved its base to Christchurch and inaugurated a morning Christchurch-Wellington return service with the Navajo then continuing on to Alexandra, Wanaka and Queenstown. The following month, on 1 May 1986, Goldfields Air launched a twice daily Christchurch-Nelson service. However the company had liquidity problems and suddenly ceased its services on 29 July 1986. 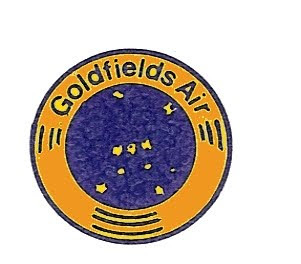 The collapse of Goldfields Air came close on the heels of the failure of air Albatross and the withdrawal of Wairarapa Airlines on the Nelson-Christchurch sector. At that time Goldfields Air’s Nelson agent, Mr Winston Williamson of the Nelson Travel Agency Ltd, told the Nelson Evening Mail, "It is very easy to start an airline and very easy to stop an airline but it is very hard to do the bits in between." Navajo ZK-JGA went on to serve other regional airlines, namely Coast Air, Air Nelson and Air Marlborough. It is currently operated by Air Charter Manawatu. Can anyone help? According to Goldfields Air’s timetable of 1 May 1986 the company needed two aircraft to operate their services from Christchurch to Nelson and Wellington. Did they ever use a second aircraft? If so what was the registration? 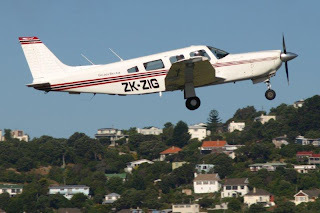 Golden Bay Air's Piper Pa32 Saratoga, ZK-ZIG gets airborne from Wellington on 4 February 2010. Golden Bay Air run a daily scheduled service from Wellington to Takaka and from Takaka to Karamea using ZIG and Piper Pa28-161 Archer ZK-EQS. The air service was originally started by Capital Air in 2006 but last year was rebranded as Golden Bay with the Saratoga being based at Takaka. The company told the Golden Bay Weekly in September last year that they would like to see Takaka airport developed, including the sealing of the cross runway and provision for a GPS approach. They could then look at the possibility of a larger aircraft. In more recent times Golden Bay Air has moved its Wellington arrival and departure point from the Aero Club to Capital Jet Services on the main terminal side of the airport. Graeme Bell grew up in Whakatane. His vocational guidance counsellor at Whakatane High School discouraged him from going into the Air Force and so he took an electrical apprentice with New Zealand Forest Products. Still having a desire to fly he took flying lessons commuting to Rotorua to learn to fly in a Piper Cub. After gaining his private pilot's licence he flew Tiger Moths for the local glider club building his hour hours up before taking his commercial pilot's licence in 1967. In 1968 he founded Bell-Air Executive Air Travel Ltd, a Whakatane-based charter with a capital investment of $8000 and a Cessna 185. The company was granted an air taxi service licence on the 6th of September 1968 and started operating that month with Cessna 185C ZK-CGH (c/n 185-0751). The charter rate for a Whakatane to Auckland and return charter flight was $50! In addition to the general charter work he also did air ambulance work. His employer, the Rangitaiki Plains Dairy company, were very flexible in their employment of the new charter pilot. He worked for them as an electrician but when charter work came along, often for the company, he was given the time to do it. There was not enough work locally to sustain the operation and so at times he flew on venison recovery on the West Coast. Another early source of business was fish spotting. The Ministry of Fisheries were keen to develop the tuna fishery and so he worked fish spotting in the Bay of Plenty, off New Plymouth and he did a survey of southern bluefin off the West Coast. The Cessna 185 was replaced with Cessna 206 ZK-DNG in July 1973. Cessna 207 ZK-DNG was added to the fleet in July 1973. He was asked to help in the first joint-venture between the Government and the Starkist company of California. The Government chartered the fishing boat the Paramount to prove the "catch-ability" of the fish already sighted round New Zealand waters. Very quickly Graeme became an expert fish spotter who are able to determine the difference between skip-jack, yellowfin, blue mackerel, jack mackerel and other fish, their behaviour patterns, tonnage assessments and the movement of the tuna - and all this while concentrating on his flying. An article in the New Zealand Herald expanded on art of his fish spotting. The boats depended on his accuracy. Smaller boats can get into difficulty if directed to a school which is too large for their capabilities. Schools must be known to have such density that it is worth the effort of big boats to switch grounds. Bell registers the stability of a school. It is vital for the fleet to know whether the school is moving slowly, tightly, clinging to the surface, erratic in its behaviour, patternless, sounding, surfacing. He may "dive bomb" the school to see how it reacts to noise. And there is a growing requirement for his supervision of the actual fishing. The Paramount heralded the day of the super-seiners 'in New Zealand waters and it was the beginning, too, of international interest in Graham Bell's work. He has done many assignments through the Pacific combining spotting with research evaluation for surface-feeding stocks, relating surface temperatures to the "showing" of fish, noting migratory patterns. In was this expertise that saw him fishing spotting around the Pacific, and as far north as Guam, Japan, Truk and Palau. 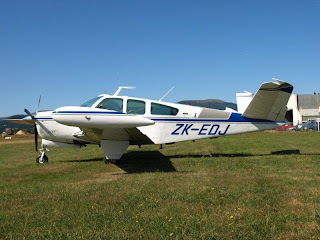 By 1975 Bell Air had three Cessnas including Cessna 172 ZK-DEY and Cessna 177 Cardinal ZK-DKL, but in September 1975 the company introduced its first twin engine aircraft into the fleet in the form of Piper PA23 Aztec ZK-DUB. The Aztec gave greater coverage and speed out over the water for the fish spotting as well as being used for charter work and as a back-up aircraft for regional operator Air North. The fish spotting proved lucrative for Bell Air and this enable the company to purchase Rockwell Shrike Commander 500, ZK-PAT (c/n 500-S-3137) in December 1977. Again, the Aero Commander provided an excellent platform for the fish spotting. The purchase of the Shrike Commander was followed in April 1978 with the addition an older of Aero Commander 500A ZK-DCF (c/n 500-A-1274-97) to its fleet, the additional Aero Commander replacing the Piper Aztec ZK-DUB. In 1979 Whakatane's Air New Zealand service saw a daily midday flight to Wellington via Wanganui and an afternoon service to Auckland. Neither of these suited Whakatane business people and so the company successfully applied for a non-scheduled air service between Whakatane and Auckland. The service began on the 23rd of October 1979 with Cliff Stockwell flying the first flight. A morning and evening weekday service was operated between Whakatane and Auckland and return enabling a day's business for Whakatane and Auckland business people. 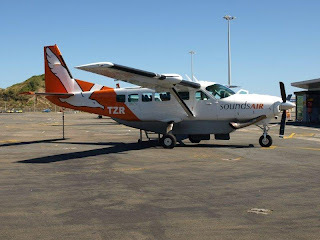 In May 1980 the company was granted an amendment to its air service licence with the licence to operate a non-scheduled service between Whakatane and Auckland revoked and substituted with a licence to operate a scheduled service. The Auckland air service proved to be popular, and at times using both Aero Commanders had to be used and so the decision was made to purchase a 15 seat Beech 99. ZK-LLA (c/n U-52) was a 1970 model purchased second hand in the United States for around $640,000 and entered service with Bell Air in August 1981. The Beech 99 was welcomed with an air show at Whakatane that was attended by some 1500 people from Whakatane and surrounding districts. The aircraft took local dignitaries and the press for sightseeing flights. While Bell Air had moved into the turbo-prop age it still had a need to keep its overheads at a minimum. The pilots loaded the freight, flew the aircraft, returned to the office and did the bookwork. And at this time the company's head office was in the Bell family home where Pat Bell, Graeme's wife, (hence the Shrike Commander being registered ZK-PAT) acted as the office manager. The Beech 99 was a popular choice and passenger numbers grew as a result. In the 1980-81 financial year the airline carried 3685 passengers and 2237kg of freight. In the following year passengers had grown to 5922 and 22,246kg of freight was flown. 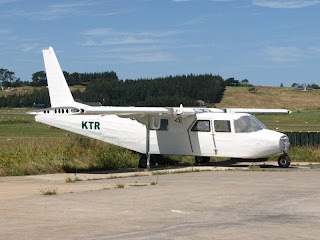 In January 1982 the first Aero Commander, ZK-DCF was sold but the company was keen to expand. In 1982 Bell Air applied to operate flights from Whakatane to Palmerston North and Wellington but the service never eventuated. Beech 99 ZK-LLA in Hokitika on 19 July 1983. In 1983 and 1984 the NZ Forest Service used Bell Air to carry tree seedlings from North Island nurseries for planting in South Westland. This was to fulfil a Government promise to plant up to 10,000 ha of special purpose trees in South Westland after Okarito and Waikukupa forests were added to Westland National Park. 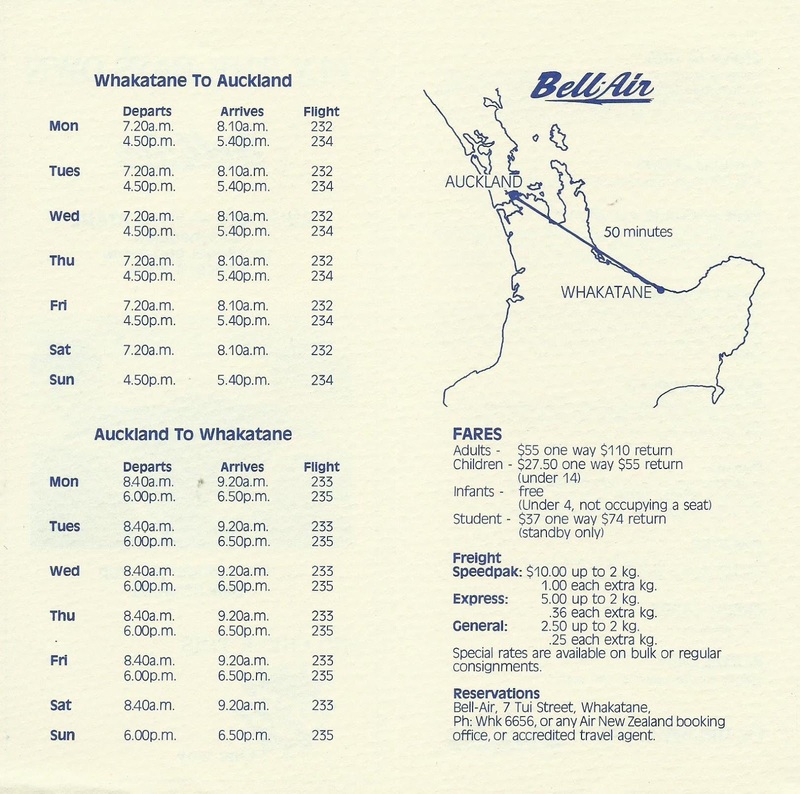 An undated Bell Air timetable from the 1980s with Bell Air running to Auckland seven days a week. 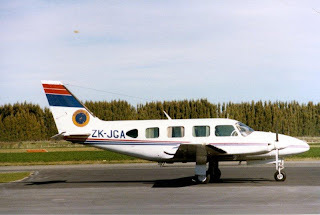 In 1988 Mount Cook used Bell Air’s Beech 99 ZK-LLA on services between Auckland and Rotorua with the Beech carrying Mount Cook Airline titles. In these years Air New Zealand were supportive of the service with many business passengers to and from Wellington transhipping between Bell Air and Air New Zealand. This relationship soured, however, when in February 1990 Air New Zealand announced that it was to replace Whakatane’s Friendship service to Auckland and Wellington with Eagle Air Bandeirantes flying three flights a day between Whakatane and Auckland. The Whakatane Beacon of 16 February 1990 reported Bell Air’s response. Graeme Bell said, “We are not going to sit back and let Eagle Air walk all over us. We are going to fight and we hope that the people of the Eastern Bay of Plenty will give us their support.” The ‘fight’ took the form of Bell Air aligning itself to Ansett New Zealand as well as entering into debate in the local paper. Bell Air contribution to search and rescue and air ambulance work was well known and it was suggested the loss of the scheduled service could put this community work at risk. In addition, Bell Air argued that their jet-prop Beech 99 was superior to the Bandeirante being both faster and quieter. On the 5th of March 1990 Bell Air began their new relationship with Ansett New Zealand. Ansett provided terminal services in Auckland, baggage handling, ZQ (Ansett) flight numbers, "through fares" to Ansett's destinations beyond Auckland, access to their reservations system and marketing support. 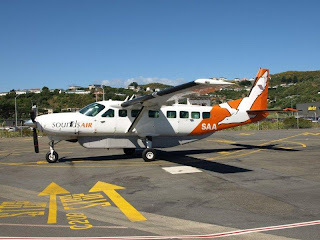 Bell Air added an additional midday weekday Beech 99 return service to Auckland leaving Whakatane at noon arriving at 12.50pm to connect with Ansett New Zealand services. The return service left at Auckland at 1.20pm. This gave Whakatane 18 Bell Air flights to Auckland each week with three weekday return services, one return service on Saturdays and two return services on Sundays with Eagle Air offering a similar number of flights. On the 2nd of April 1990 Bell Air inaugurated a new air service between Palmerston North and Whakatane in conjunction with Ansett New Zealand. The service operated thrice weekly on Mondays, Wednesdays and Fridays using the Shrike Commander for the 70 minute flight. Flight ZQ365 departed Whakatane at 10.00am arriving at Palmerston North at 11.10am while the return flight, ZQ368, departed Palmerston North at 2.20pm arriving back at Whakatane at 3.30pm. The service was not successful, however, and ended after a short time. For Bell Air this alignment with Ansett initially proved successful. Graham Bell told Wings magazine in 1991, “We enjoy parochial, loyal support from this area... Since our alignment with Ansett, loadings have increased.” The airline continued to operate in its own right and colours with the advantages of linking into a main trunk carrier. By January 1992, however, the Beech was repainted into Tranzair titles but with smaller “Operated by Bell Air” titles on the side of the aircraft. Shortly after, in May 1992, the Shrike Commander ZK-PAT was sold. 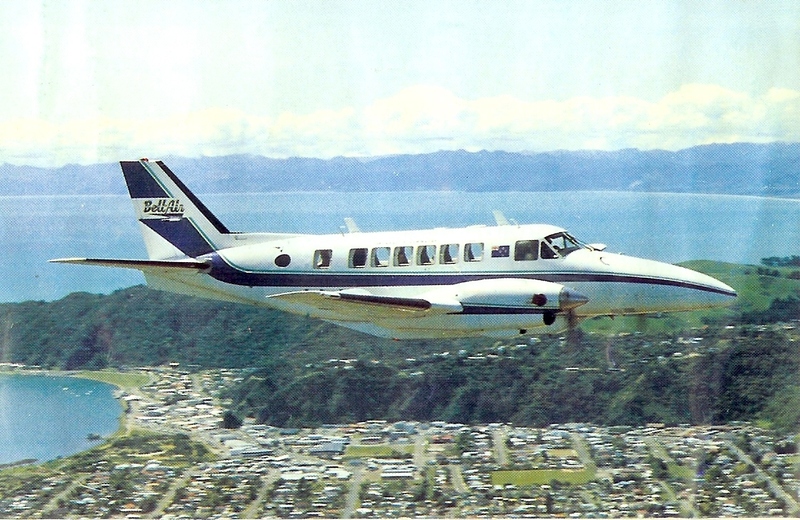 Bell Air continued to operate the Beech 99 until late 1995 when Whakatane's Tranzair service was then taken over Rex Aviation using Bandeirante and Northern Commuter Airlines using a Piper Chieftain. The Beech 99 flew its last Whakatane-Auckland-Whakatane service on the 6th of November 1995 under the command of Tony McKevitt. This was the last Tranzair flight and scheduled service operated by Bell Air. The Beech 99 was positioned to Dennis Thompson's at Ardmore on the 5th of February 1996 and it was subsequently exported to the United States. Ironically both Malcolm Campbell of Eagle Air and Graham Bell of Bell started a small charter operation and took them into the turbine age. The difference between them was that Eagle Air had grown beyond one route. When Air New Zealand looked for companies to operate their new commuter services only two were chosen, Eagle Air and Air Nelson. Sadly, despite the alliance with Ansett New Zealand, Bell Air was the casualty. 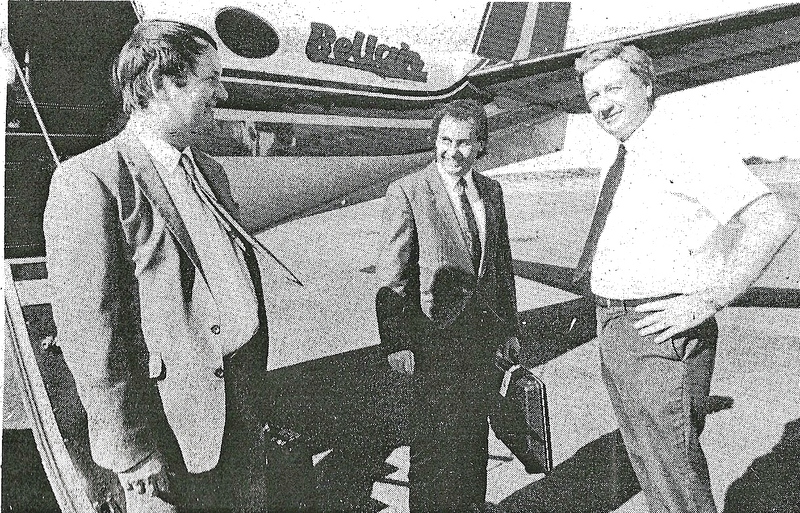 Bell Air continued operations as it started with a charter operation using Cessna 172 ZK-LLB until it was sold in March 1997. The same aircraft - Bell Air's Cessna 172 ZK-LLB. Above, ZK-LLB wearing the registration ZK-ENY while being engaged on marijuana spotting for the police. Photo taken at Nelson on 14 January 1995. Below ZK-LLB taken at Whakatane on 17 April 1996. 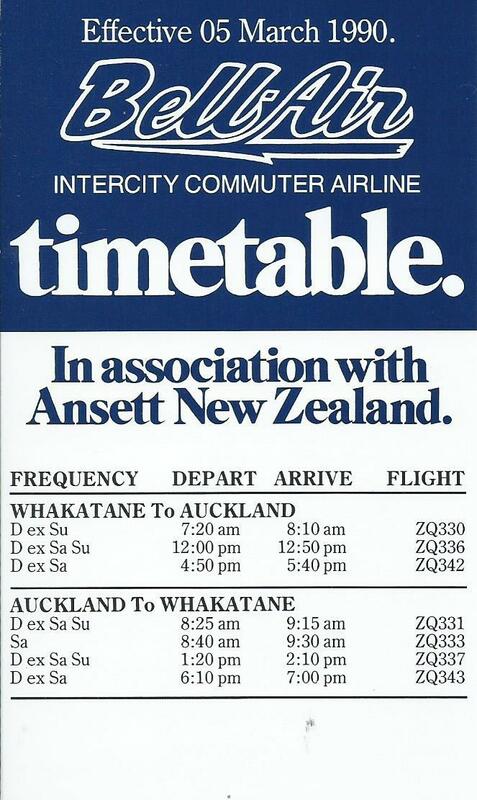 Meanwhile Tranzair continued to operate an Auckland-Whakatane service into 1996. On 29 February 1996 the Tranzair name was changed with the airline adopting a new logo and colours for the Ansett New Zealand feeder operation as Ansett New Zealand Regional. 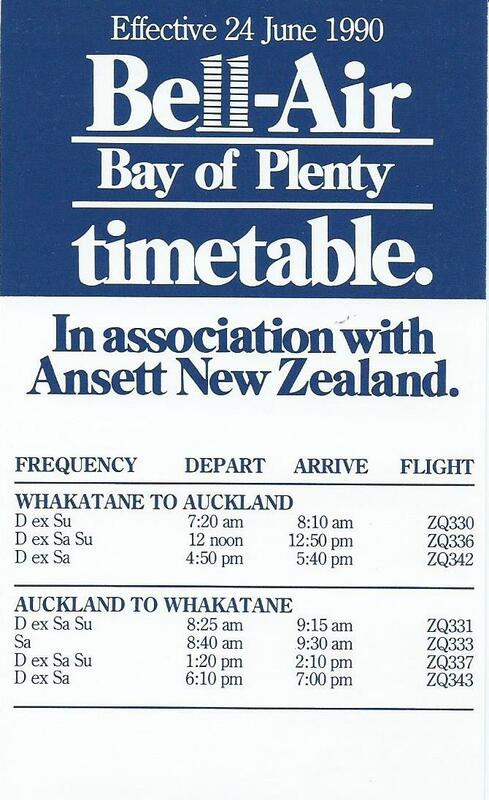 Flights continued to Whakatane until Ansett 3 November 1996 when Ansett pulled out of Whakatane citing economic factors.